"High quality Product for efficient translations"
I love the template automation, the powerful selection of cascading parser and the flexible license management. The API is amazing, one of the best I've ever had the pleasure of working with. The Interface for translations users is straightforward and the layout allows the maximum efficiency I have seen in a CAT tool. The preview allows translations to be seen in context. Adding terms, running context searches, adding Tags and other linguistic tasks can be carried out with minimal effort. There's not much I don't like about memoQ, but I would say the limited language set does cause the most headaches. Many of our multi-language clients will run several varieties of a language (e.g.) Russian and currently we have no way to keep these all within 1 memoQ project. The automation option could use more trigger points that you can link actions to. The QA report although very robust isn't really exportable in an editiable format that Our linguists could comment directly against. MemoQ is a very powerful CAT solution, but also very simple to use as a beginner. Drastic reduction in file handling time. Especially between the various linguistic resources in a project. Visibility into the translation progress during long translation cycles. Less time needed to manipulate content into a translatable format outside of the CAT too. "Likely the best choice for LSPs"
That memoQ Translator Pro is the best CAT tool on the market is beyond discussion. So the question is: does it add value for an LSP to implement memoQ Server -- rather than just letting translators do their thing? In my opinion, it does. memoQ Server extends the functionality of memoQ Translator Pro to managing complex multilingual projects using sophisticated filters, reference materials and QA, just to name the most important features. On top of that, we love the personal support by the Kilgray people. While memoQ is a translators' favorite (which is one of the reasons we chose memoQ server), unfortunatly, working online is not. Indeed, issues can arise when projects get very large, and connections unreliable. We have spent more time than we would have liked on support for translators. Having said that, experienced memoQ users tend to have fewer problems working on our server. Also, we are migrating to a server hosted by Kilgray. This may solve any problems that were due to a poor setup on our end. We are looking forward to working with the new situation. 1. If you work with external translators, make sure a high percentage already likes working with memoQ and owns a license. 2. Consider having the server hosted by Kilgray. The monthly cost will probably be less than the cost incurred by time spent on support for translators. Maintaining consistency in projects with multiple languages and/or multiple translators per language. Being able to process almost all relevant file formats. "Extensive CAT tool with a lot of features"
The great filter options to handle different file formats, sophisticated client-server concept, supreme functions for efficient ans consistent translation, overall support quality, pseudo-translation function for testing of filter configurations, fast and efficient translation using the translations results pane with all important hits in one window - and last not least: the yearly memoQfest, a great event that brings together users and experts from many industries. Some minor bugs that do not get fixed. Bad user permission concept for QTerm that prevents us from using it effectively ever since we bought the product. It offers about the same functionality as comparable Trados solutions at a more competitive price and higher speed. Interoperability with Trados users is fine, so you do not have to fear loosing translators who refuse to use the memoQ client. Only the terminology solution is inferior. If you look for something sophisticated, you have to opt for QTerm instead of the built-in term base and then you still might not like the user permission system. "One of the best CAT-Tools with lots of features"
memoQ Server is great when working on larger translation projects or with more than one translator. It's capable of handling multiple projects simultaneously – each one with lots of translation resources (TMs, TBs, LiveDocs etc.). It comes with an API, plug-ins for third party providers, an web-interface, server-to-server connections and a great community! Most of the features improve the translation quality. It’s possible to handle 99 per cent of the files out there using pre-built filters. And there’s always an easy workaround for that missing 1 per cent – and if needed – supported by the memoQ support team. Customization and implementation for business or workflow specific tasks is also easy to do. And not to forget to mention: there's memoQfest! A yearly get-together with users, engineers, sales and the inventors of memoQ! Well, compared to other CAT tools, there's nothing I really dislike. Sometimes, the overall performance could be a bit better, but that's depending on how many projects you're running at the same time. We use it as a hub for translation projects and translators. memoQ server also allows easy integration of some of our customer's systems through the built-in API. "Very satisfied with memoQ in almost every way"
I really appreciate the flexibility the CAL system gives us when asking new users to try out memoQ. In a market like Japan which has relatively low penetration, it lets us easily offer users a way to try the software with real projects without laying out a lot of money. And cascading input filters are incredible. When you need them, nothing else will do. The interface switches back to your default input mode when changing windows. (Japanese input > English input) which doesn't happen with any other program that I've experienced. The package workflow isn't very intuitive. We would like to be able to add arbitrary workflows because sometimes TR>R1>R2 just isn't enough. Easy collaboration with multiple resources simultaneously. Simplified onboarding of new resources who were leery of CAT tools when faced with having to buy an expensive license to even try out software. "Extremely useful and very powerful"
memoQ is an exceptionally useful translation memory tool that has really helped shave hours off of hour translation times. As the memory base grows, you really begin to see massive benefits using memoQ as previous translations are automatically plugged in. The support team is very helpful and try their best whether it be night or day to respond quickly with solutions to any problems you may encounter. We have been using the Regex (regular expression) tagger feature to automatically bring tags over into the translation to make life easier for the translators; however, this sometimes causes the original format of the file to get corrupted when exporting. This is something that we are still trying to fix. I highly recommend attending the training sessions as they are very informative. If possible, the earlier the better because it is best to set up everything a streamline as possible in the beginning, so you don't have to go back and fix things later. memoQ has really helped us as a gaming company to cut our translation times drastically especially in when it comes to more rigid translations for example character skills etc. Also, it has helped us keep terms consistent when we outsource translations as we share the same term base and translation memory with the company we outsource to. "Making use of the advantage of a cloud-based CAT tool"
memoQ server works well when working on big localization projects with multiple translators. The TM can be updated in real time so that new translations are directly shared with other translators. The fact that it is all in the cloud means that once your PC crashes during a translation, your work is still saved! We are a Japanese company, and the Japanese market for CAT tools is almost monopolized by SDL Trados. It is sometimes difficult to find translators that are willing to work with memoQ. We reach out to them by sharing our licenses with them for a project, but still, it is hard to convince these translators. It would be nice if something could be developed so that SDL Trados users can also work with projects on a memoQ server. I think cloud based CAT tools such as memoQ server are the becoming a standard in the translation industry. memoQ server is very flexible and it is very easy to use for beginners. If you have experience with other CAT tools, you will have no problems working with memoQ server. We were able to submit a huge project within very limited time by making use of the shared TM and also the fact that a reviewer can start his work while the translator is still translating a document. We also have memoQ plugged in to our TMS which makes it possible to set up projects and send out translations from our TMS. "One of most translator-friendly, cost-efficient, killer-CAT-tools"
I cannot decide on what I like best, because there are so many. I like memoQ as a whole. It was very much a love-in-first-sight, when I saw memoQ demonstration at ATA annual conference in Chicago, 2014. I had been writing Word VBA and some other script languages to make my translation work more efficient for over a decade, and memoQ was exactly something I wish I could someday create and spread to other translators around me. While there are a lot of CAT tools available, there aren't many tools that are truly user-friendly for translators who actually do translation work. Various filters and view functions, LiveDoc Corpora, Predictive typing, Auto-Pick are only some examples of many powerful functionalities memoQ has for easing work of individual translators and checkers. Particularly those filtering and views of memoQ is a killer functions, especially when you have many documents in a single project and realize you have to go through and check all other documents while you are translating the very last document. For example, instead of opening each of the files in the project, you can just filter out and collect every segment containing a particular string from all the documents in the same project, in a single view file. Any correction or change made to a segment in the view file will be reflected to the corresponding segment of the corresponding document in the project. Despite the large number of powerful functions, memoQ is yet relatively cost-efficient as compared to other tools, and is very intuitive and user-friendly. Those who are not familiar with CAT tool can start from very basic, and then gradually expand their understanding of memoQ in depth. memoQ is definitely my primary recommendation to those seeking for a very powerful CAT tool. Because, memoQ is yet in process of development, it still has some unexpected bugs which need to be tackled. However, the support team is doing great job so far and I am very much happy with it. One thing that memoQ could improve would be availability of information and support in Asian-languages, particularly, in Japanese where I live. We subscribe a memoQ cloud server, and what I like in addition to the functionality is that, the cost for subscribing the memoQ cloud server is very flexible. If you are only using individual translators who have memoQ licenses, the monthly fee can be minimum. Yet, the fee covers 5 free licenses for memoQ web which operates on any internet browser. If you have a translator who don't have memoQ licenses, you can subscribe a mobile license that allows the translator to use memoQ translator pro while she/he is working on your project. The number of mobile licenses can be changed monthly-basis; e.g., no mobile licenses this month, but 1 or 2 mobile licenses next month, and so on. If the number is changed in a middle of the month memoQ will calculate the subscription fee on a daily-basis, so you don't have to spend waste money by changing the number of mobile licenses at the end of a month for example. Before memoQ cloud server, all the necessary information on what to do and what to not was emailed to those who are responsible of translation. Emailing such information however is not a reliable way to maintain our translation quality. With memoQ cloud server, we simply have to change a single shared-resource in the cloud server. For example, if a source client tells us not to use a particular term, we could simply add the word as a forbidden-term in the shared term base in the cloud server. If any translator in our team uses the forbidden-term, the memoQ QA will instantly warns you that the translation contains words not allowed by the client. MemoQ is very intuitive and pretty easy to navigate to what you need. This makes it easy to get it set up and using it in no time at all. Also, makes it easy as a PM to help translators get in and do what they need to without much of a hassle. I'm always leery about upgrading to the next level right away because it seems like not enough beta testing is done. I always find bugs and have to report them. So I end up waiting for a few step versions to come out before making an upgrade to a next level jump. Wish more testing would be done before pushing it live. Wish you could do highlighted/nonhighlighted only for Word/InDesign and other programs. Also wish it could handle .dwg files. MemoQ handles most any file type. The ability to bring in highlighted only or non-highlighted only cells for excel have been great and made getting word counts much faster and easier for our clients that send files for translating only highlighted. "An adcanced enterprise translation management system (TMS) "
A one-stop solution for translation and localization collaboration that comprises a repository for your translation assets, a control center for your translation projects and a qTerm for professional terminology management. Moreover, there is a desktop editor and web editor available for choice, besides language terminal, a free cloud space. The server management interface can be further optimized and the features of WebTrans can also be further improved. If qTerm is already embedded or integrated into memoQ server, it will be better. The location of machine translation engines is not obvious. memoQ server is a one-stop solution for translation and localization collaborative projects that comprises a repository for your translation assets, a control center for your translation projects and a qTerm for professional terminology management. Moreover, there is a desktop editor and web editor available for choice. It’s powerful in functions, easy to use and timely in support. I use memoQ server for teaching the students and demonstration for the prospects or trainees, besides using it for the collaborative translation projects. "memoQ is very complete and friendly"
What I like the most about memoQ is the project management functionality and the workflow automation. The server is also quite friendly and easy to navigate. Moreover, memoQ allows to import several types of files extension, not just .doc files. Also, with memoQ server we can take advantage of the integration with our business management tool, which is fundamental in order to speed up our processes. The only disadvantage that I can think of is that there is no DEMO version. memoQ helps us to optimize our work and time. We work faster and we deliver high-quality translations. memoQ server helps our PMs to automate localization workflows and track jobs easily. They can easily see the translators’ work and deadlines through the main dashboard. "Reliable CAT-Tool with some nice features"
What I really like is that memoQ offers good solutions for translators as well as for project managers. The tool keeps up with the time and the developers make an effort to be up to date concerning new requirements of the langauage sector (e.g. machine translation / video subtitling). "Complete control over our translation workflows and resources"
I like the amount of customization we are able to do with the server, setting up our own templates and export rules - especially the amount of automation we can do with the API. I also find the support staff amazing - both the speed of the replies and the amount of help they are able to give makes the setup and maintenance of the server very easy. In terms of UI, the server could be a bit friendlier. Being able to export files automatically with the templates is really complicated, if we want the files to be accessible to the project managers. After a certain amount of data, the only way we can gather information is through the API or the server logs - but that means this information is restricted to the sysadmins. I would like for our PMs to be able to easily access these kind of information. memoQ is our main translation tool. Through the years, we have built all our processes around memoQ - we require all our translators to work on our server. The constant backups are one of the biggest benefits, but we also make use of the automations (the project templates) and the shared server resources. The customer service is the best. You email, they reply with help. If they're not out for the day, they get back to you same day. They have a ticket system. The emails never include previous emails so you have to log in and reread the email chain to remind yourself of what is being discussed. Use it for translation memory. "Using memoQ Server makes the translation process easier and faster"
I like the templates, how they make creating projects in a safer way so that I don't miss any actions. Also, after I assign the files the TEP process almost completes itself. I dislike the general errors and that sometimes connection is lost. It really makes project management faster, easier and less prone to mistakes. The memoQ Server is a hub of our projects and it's really great that if we share the projects with each other we can quickly act, make any changes when someone is not in the office. It also handles multiple TMs and TBs well. Variety of product line (desktop and server products, cloud service, etc. ), excellent supports, and cost peformance. Not I dislike but they would be more competitive if they focus a bit more on the end users in the translation industry. 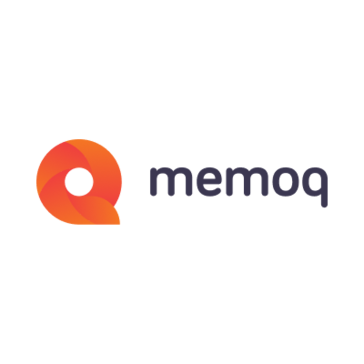 There aren't many products r services that have the same product line as memoQ. I recommend memoQ because you can make a small start then implement a larger-scale product if you like the product. The most appealing point of memoQ is their excellent technical support. I'm no expert with servers and systems but I was able to implement memoQ sever by myself (which I don't recommend anyone) thanks to memoQ's great support team. Implemented an automatic file translation tool available to all employees at very low cost. "A core in our business"
The project managers would like to be able to do more things directly on the server without having to download the project locally. I like the easy dashboard and the tools and resources. But the bests are the TBs and TMs which are really useful. it is sometimes slow and crush but I am okay with that. The interface switches back to your default input mode when changing windows. We realized that our vendors use it and we could compare the revier version. Maintaining consistency in projects with multiple languages. "Professional experience in the fields of management"
What I like most about MemoQ is that I can follow how the translation is going. With the help of the program everything is consistent and the use of TMs and TBs help a lot. There's not much I don't like about the program. What I would develop is the pre-translation. I would be handful if you can choose the terminology you would like to pretranslate from. We are grateful for your review and feedback. Defining which term bases to include vs. exclude is achievable before finetuning fragment assembly settings to pretranslation. If you'd prefer to get more detailed guidance please send a message to our support with a brief explanation to your use case(s). Hope we can help you soon!! High level of automation & integration, stable & reliable environment. Bugs (e.g. export path rule not working), translators not very familiar with it. Purchase it. Appropriate use of it will definitely increase productivity. We managed to reduce preparation time of projects and to implement a high automation level, which in the end allows us to process more, bigger and more complicated projects. Translators are not always familiar with memoQ (they pretend to be), and screw up sometimes. The friendly user interface allows for a significant boost of productivity. Track changes in the TM entry pane sometimes do not work properly, i.e. memoQ auto-inserts one TM match but the track changes function in the TM entry view pane shows track changes for another match. Project management for large project has been siginificantly simplified, also through the integration with compatible project management solutions. "It is comletely user-friendly, really helpful." It's easy to use, helpful when I'd like to monitor the workflows. When I think about it, I cannot really list any disadvantages. If you're thinking about having a user-friendly CAT tool server, memoQ server is the perfect choice for you. I can keep track of the vendor's job, meeting deadlines, and a lot more. "It is easy to use and a friendly CAT tool." We are using it in our translation agency and we like that it is easy for use for all our translators. We as well use the webmemoq and we don't need to send rtf file to our translators/proofreaders. Sometimes there are some errors, which appear but nobody knows why. We are using our server so we can have all the TM and TB stored there. It's easy to assign different TMs to a project, so the translators have more possibilities to search in different TMs. Without a doubt how well the support function works. memoQ server provides a reliable background for managing translation projects. * We monitor all memoQ server reviews to prevent fraudulent reviews and keep review quality high. We do not post reviews by company employees or direct competitors. Validated reviews require the user to submit a screenshot of the product containing their user ID, in order to verify a user is an actual user of the product. Hi there! Are you looking to implement a solution like memoQ server?